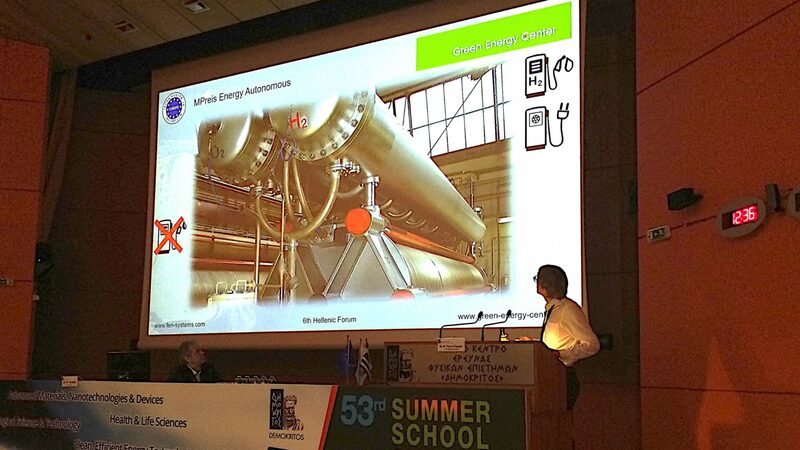 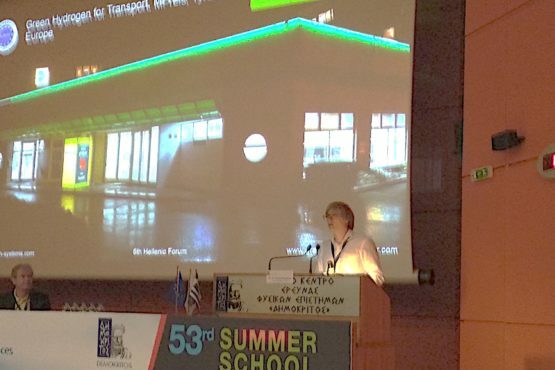 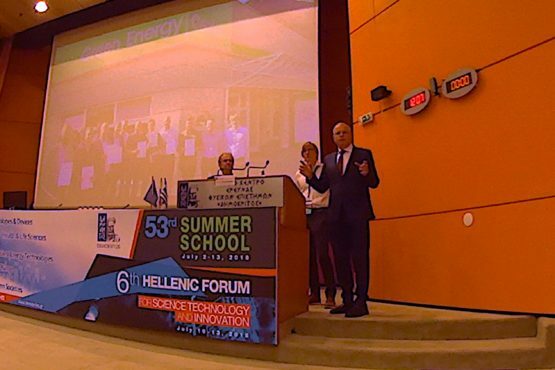 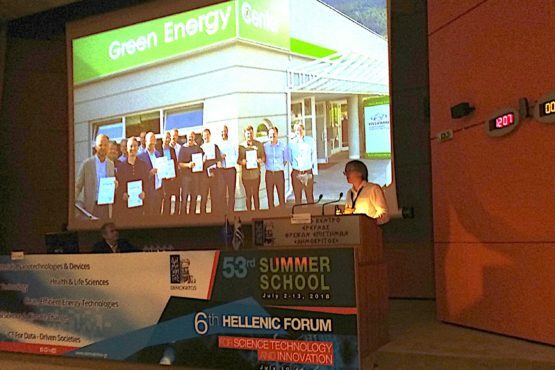 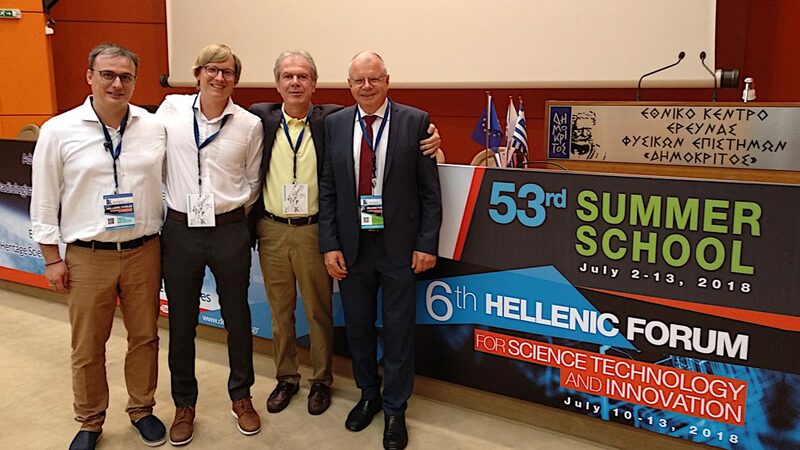 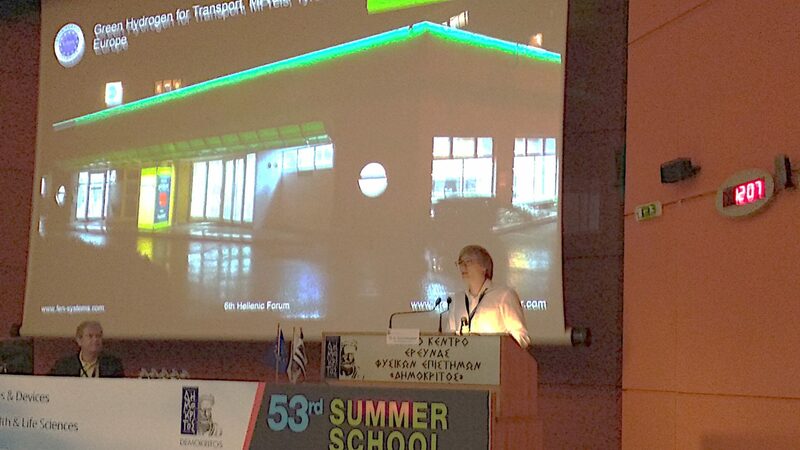 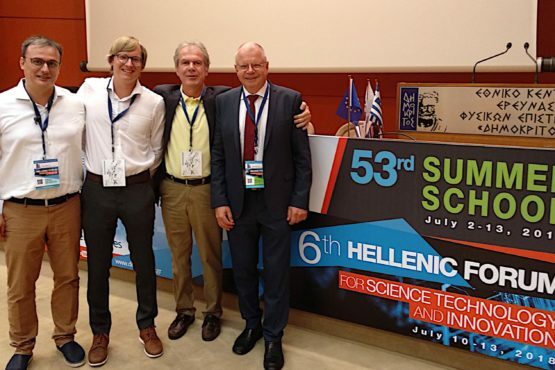 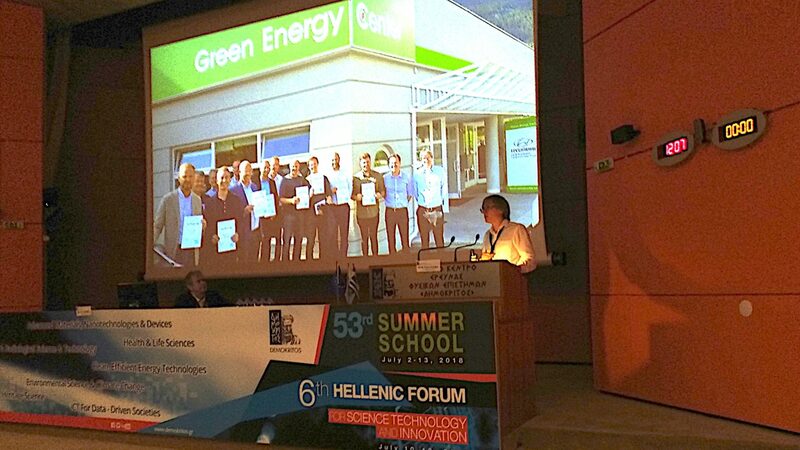 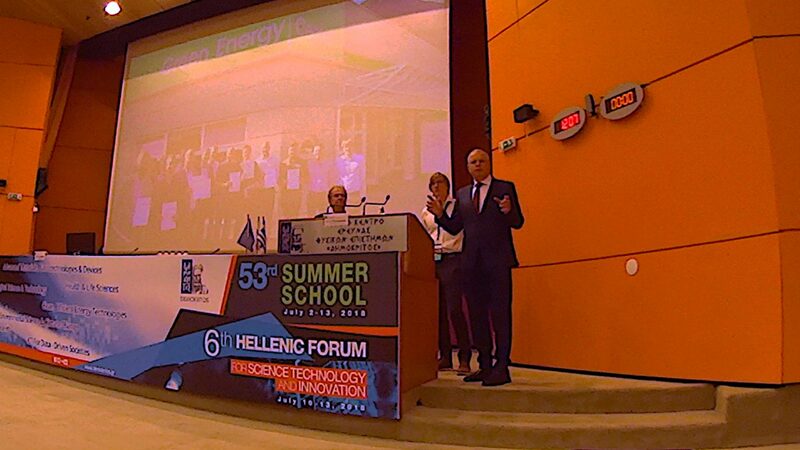 During the four days of the 6th Hellenic Forum in Athens, DEMOKRITOS – the national center for Scientific and Research – becomes the meeting place for scientists around the globe and the centre of a dynamic network of partnerships and collaborations with Industry. 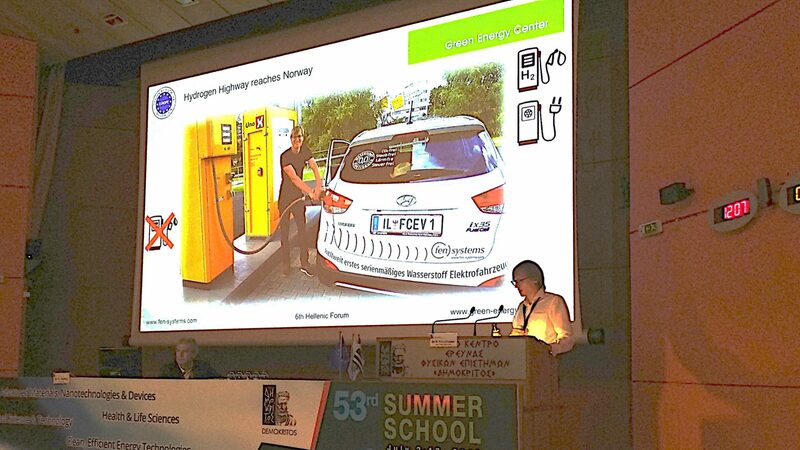 This year one workshop has covered the topic “Green Mobility & alternative Fuels”. 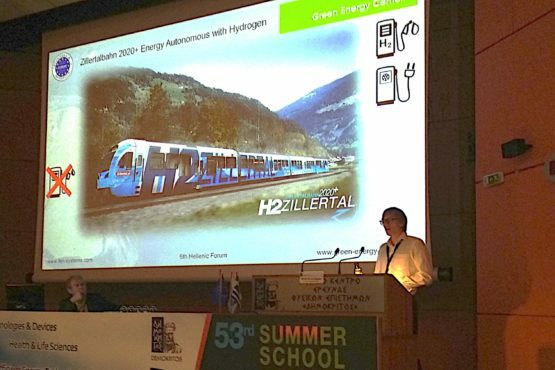 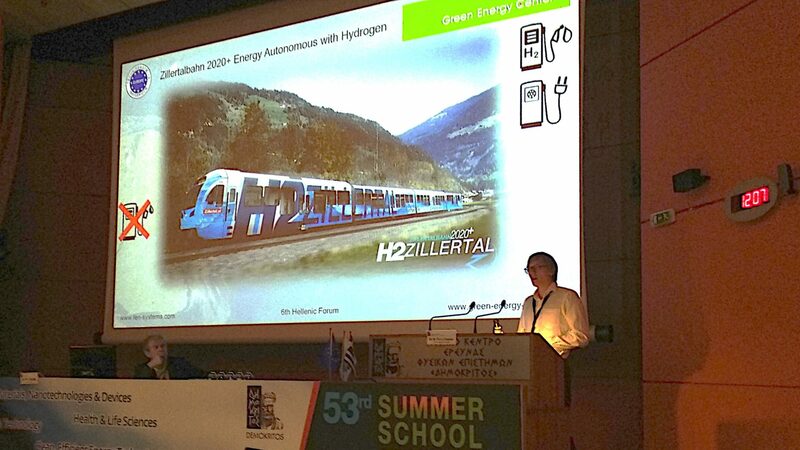 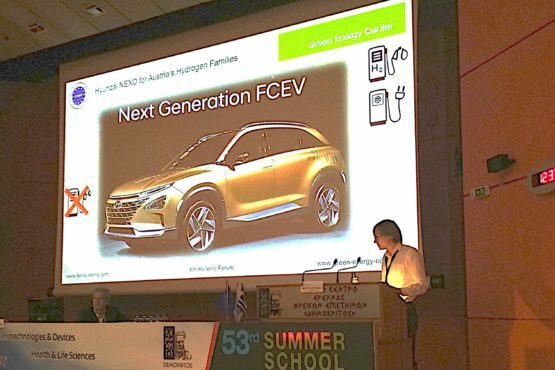 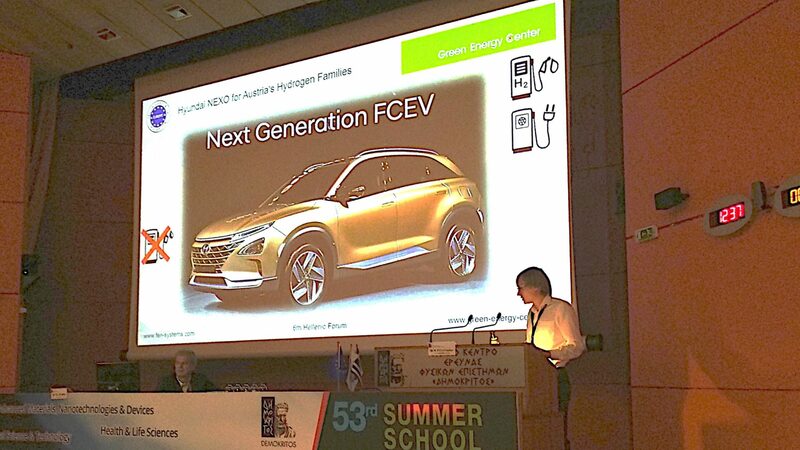 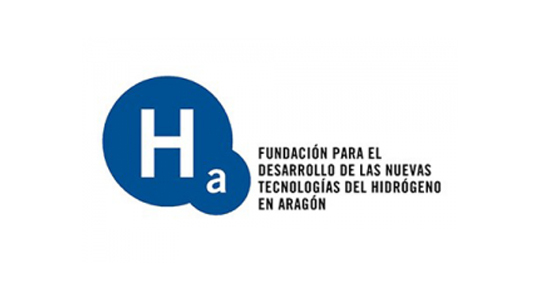 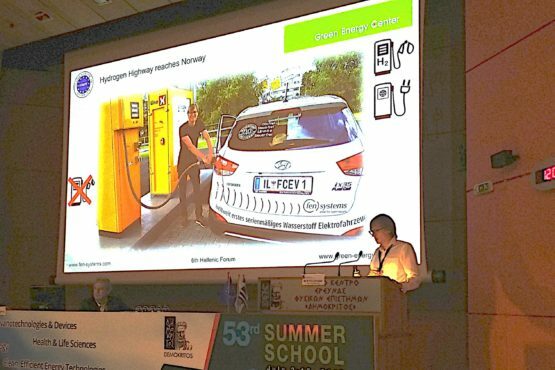 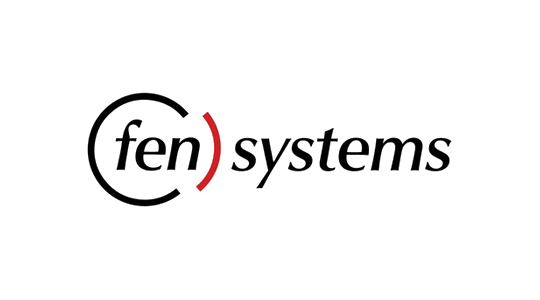 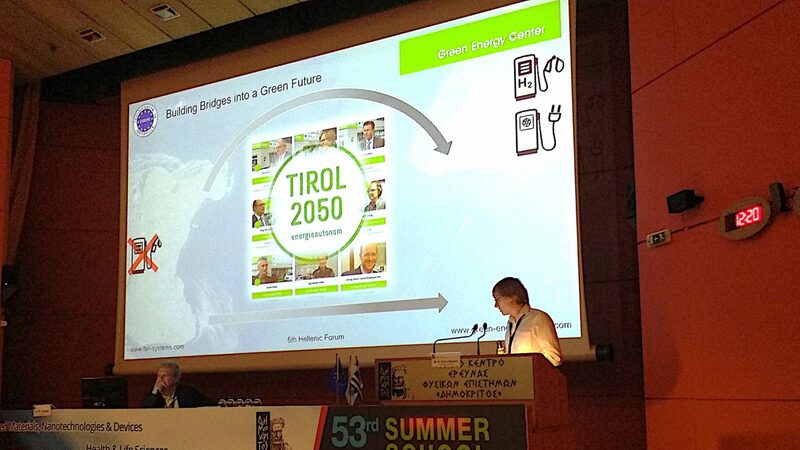 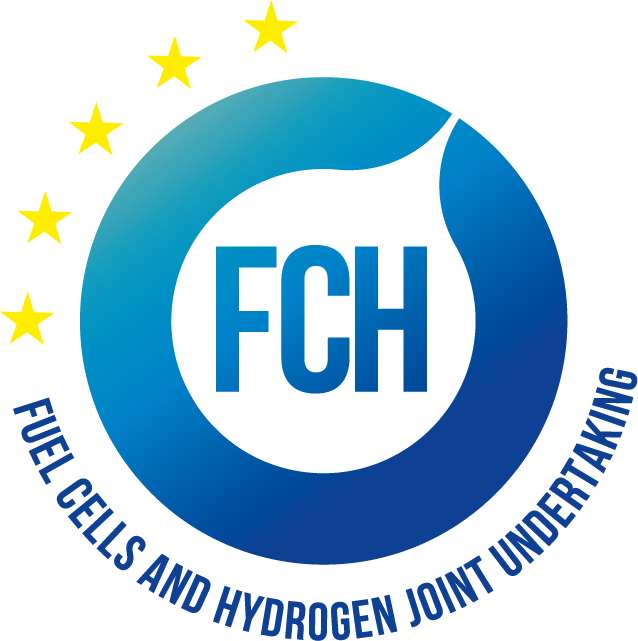 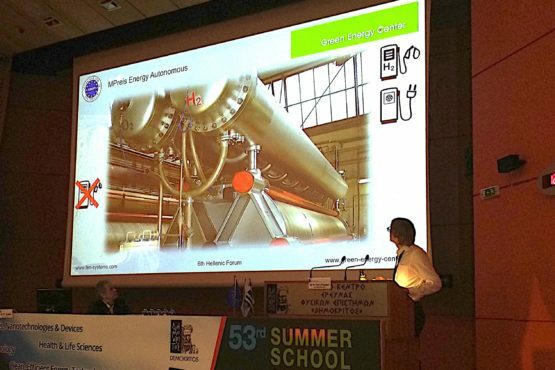 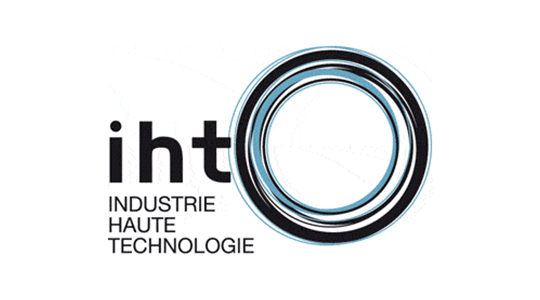 The contribution of Nikolaus and Ernst Fleischhacker (FEN-Systems & Green Energy Center Europe) was the Keynote to”Green Hydrogen for Transport” based on the learnings and earnings of the EU-Project “Demo4Grid”. 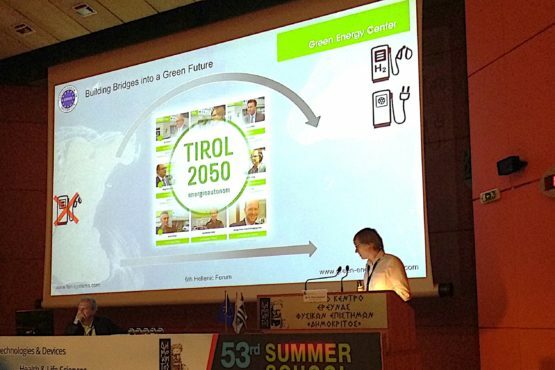 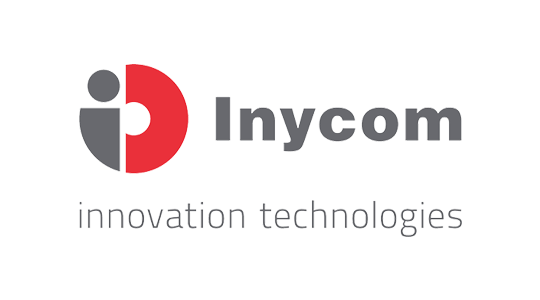 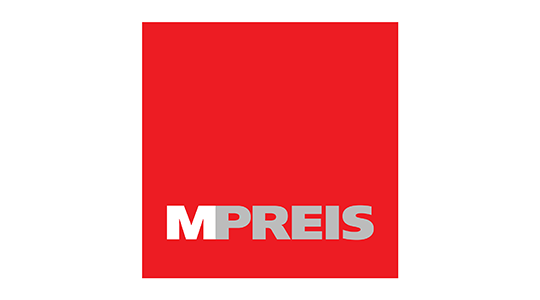 Within the Demo4Grid project Europe’s largest single-stack-alkaline-electrolyser will be installed in Völs near Innsbruck for regulating the electricity network of the Tyrolean electricity company TIWAG and producing green hydrogen also for traffic services of Mpreis Tirol and Europe.